- Comercial aviation pilot licence with single pilot multi-engine qualification and instrument flight rating. (CPL(A) SP MEP IR). - Private Pilot License (PPL). - Multi-engine aircraft pilot qualification (ME). - Instrument Flight Rating (IR(A)). - Visual flight rating at night (VFRN). - Flight instructor qualification (FI(A)). - Instrument flight instructor qualification (IRI(A)). - Multi-engine single pilot aircrfat type instructor qualification (CRI(SP A)). - FNPT II MCC type simulator instructor training. - Multi-crew cooperation training (MCC). - Multi-crew cooperation instructor qualification (MCCI(A)). Practical training is administered using a FNPT II MCC type flight simulator Ascent®, single engine aircraft with piston engines Cessna-152 and Cessna-172 and double-engine aircraft with piston engines Cessna-310Q and Piper 34-220T. - Flight simulator training laboratory. Training flights are performed oin the laboratory with the flight simulator. - Aviation Technucal Maintenance Unit (145 organization ). The Unit executes technical maintenance of VGTU AGAI exploited aircraft. Flight training practice base history began with the foundation of Antanas Gustaitis Aviation Institute (AGAI) in 1993, FTU became a separate specialised practice coordinating subdivision later. In autumn of 1993 the first accepted pilots had to begin flight practice in June, 1994 therefore, without further delay AGAI organised purchase of aircraft. 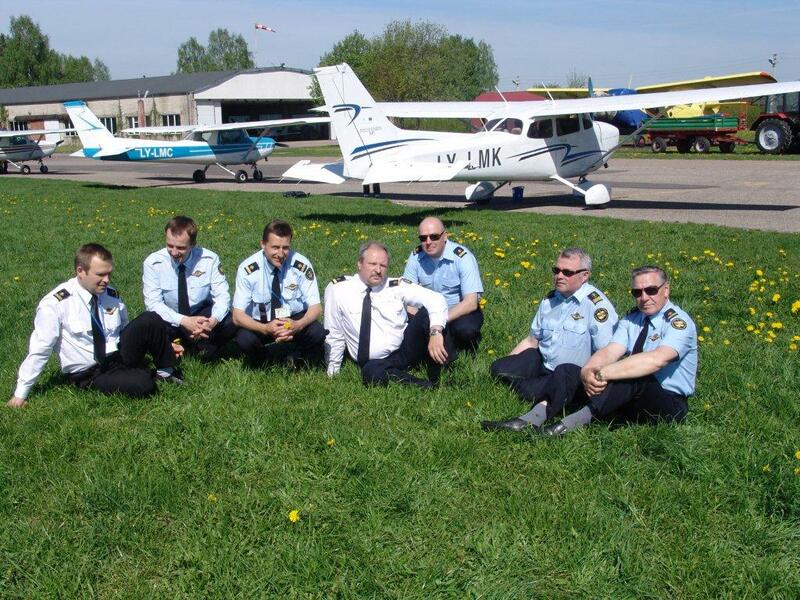 After a year of hard work at the end of June, 1994 two cargos with training aircraft CESSNA-152 reached Lithuania. These were the first six AGAI aircraft and the first steps of founding Flight training base. There was a need of experienced flight instructors and technical personnel. The first training flights were administered by pilots of Lithuania‘s Military Air Force. In 1996 two single engine fourseat CESSNA 172 aircraft were purchased. In 1997 and 1999 two double-engine aircraft CESSNA-310Q were purchased. During the first year a modern computerised laboratory was equipped at AGAI, which had 12 computers with rudders, joysticks and rudder pedals. With the mediation of CEO of „Lithuanian airlines‘‘ S. Dailydka two flight simulators imitating flights with aircraft AN-2 and Jak-40 were consigned to AGAI. Practice in the flight simulator is one of the most important ways for development of piloting techniques under harsh weather conditions, executing instrument flights, learning the navigation work en route and developing piloting skills in emergency circumstances. At the time these simulators were very helpful for preparation of pilots, however later they became outdated. Up to 1998 Director Deputy for flights, Leonas Jonys, was responsible for flight practice. Later the Head of FTU became VGTU AGAI graduate, Director Deputy for practice, Virgilijus Kaminskas, the chief engineer became VGTU AGAI graduate, Egidijus Pakalnis. In 1999 a private fuel tank was installed in Kyviškes aerodrome, two petrol tank vehicles were purchased and a rescue automobile was purchased. - Aircraft maintenance service (under regulation or organization 145). - One new double-engine aircraft Piper Seneca V, P-34-220T. 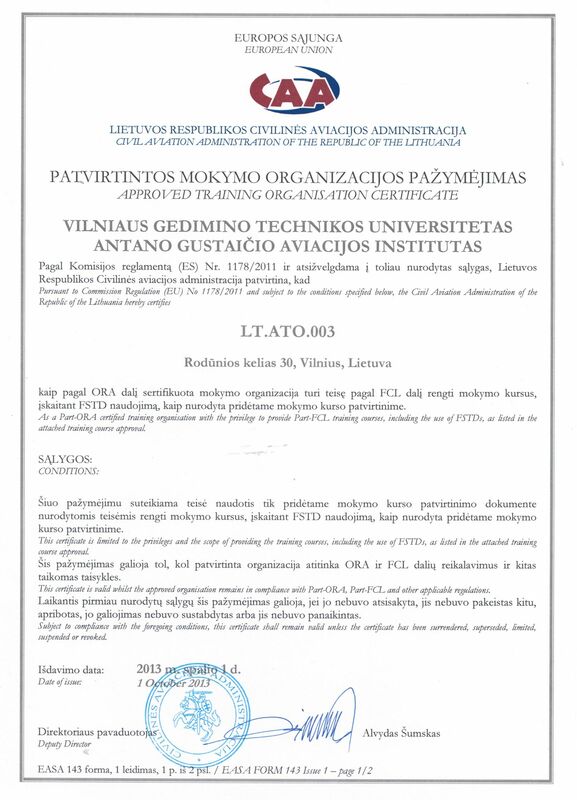 Also due to the implementation of the programme in October of 2009 Lithuanian Military Forces assigned the management, usage and disposition of Kyviskes aerodrome and its real property and tangible fixed assets to VGTU. 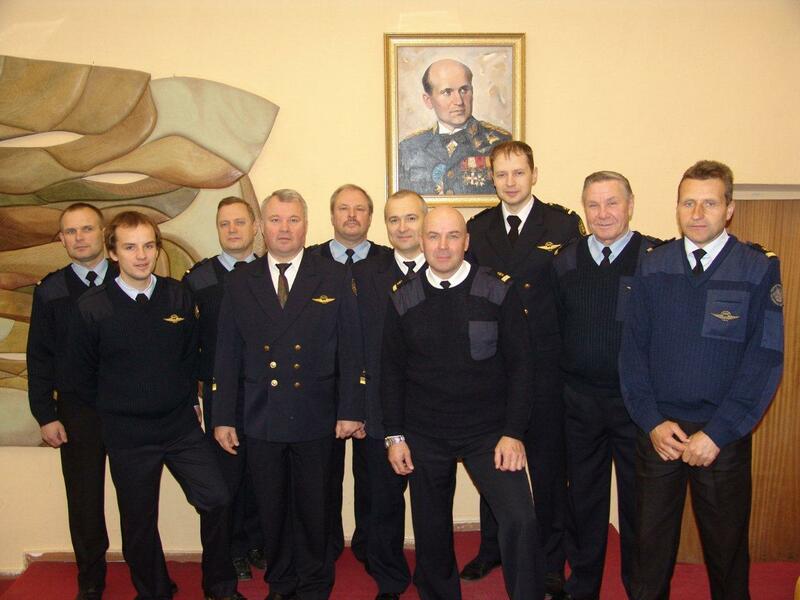 Currently FTU is thoroughly prepared for administration of flight practice for aircraft pilots, 13 aircraft are exploited, Kyviskes aerodrome and other technique.